Welcome to Capitol Info, New York's premier provider of legislator information. 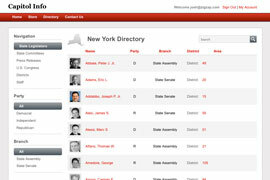 We have published our popular Pocket Directory of the New York Legislature since 1990, when our copyrighted format proved so useful and popular that readers made our directory an instant success. Today, you see our "little red book" all over the Capitol, as it has become indispensable for those who deal with state government. 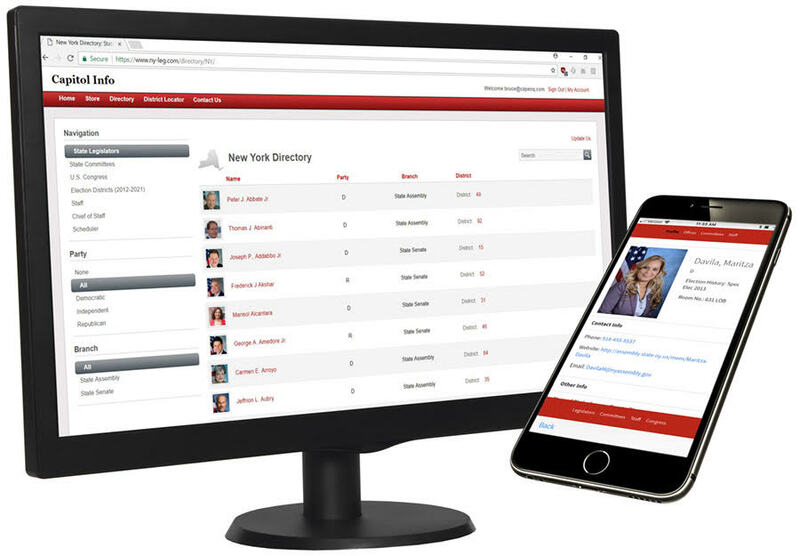 This website supplements the information in our Pocket Directory, makes it easier to use, and keeps it up to date. Apr 05 2019 Deputy Director Marcella Cortez is no longer on legislator Alexandria Ocasio-Cortez's staff. Apr 05 2019 Deputy Director Marcella Cortez was added to legislator Alexandria Ocasio-Cortez's staff. Apr 03 2019 Area Director Clio Markman was added to legislator Max Rose's staff. Apr 03 2019 Communications Director Brian Trent was added to legislator Alexandria Ocasio-Cortez's staff. Apr 03 2019 Advisor Daniel Riffle was added to legislator Alexandria Ocasio-Cortez's staff.